The CMT MUSIC AWARDS will broadcast live on Wednesday, June 17, 2009 on CMT and CMT.com, honoring the best country music videos of the year. Country’s biggest superstars will be on-hand to celebrate at the annual award show and its live red carpet pre-show. Host, venue and ticket information to be announced at a later date. Country music fans will be able to vote for their favorite videos on CMT.com, beginning Monday, April 13 when the first round of nominees is announced. Final nominees will be announced Tuesday, May 19. 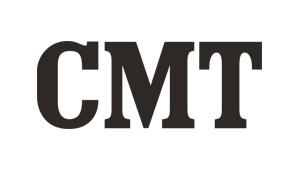 Videos must be submitted no later than February 18, 2009 and must have aired on CMT between January 18, 2008 and February 23, 2009 in order to be eligible. The CMT MUSIC AWARDS remains country music’s only fan voted award show, and last year fans cast a record 5 million votes online to determine the night’s big winners. Since its premiere, the 23 airings of the 2008 CMT MUSIC AWARDS were seen by 32.7 million different total viewers. * To date, it is CMT’s most-watched telecast since the 2007 premiere of the CMT Film DALE. The 2008 CMT MUSIC AWARDS also drove up digital sales for performers and according to Soundscan, performers Alan Jackson, Tim McGraw and LeAnn Rimes all experienced triple digit gains for their songs featured on the live show. In addition, Keith Urban and Rascal Flatts both revealed new material for the first time on TV and reaped massive digital gains for the singles not previously released to radio. Traffic on CMT.com surged the day after the event, shattering all previous CMT.com records. Viacom Entertainment Group © 2019 MTV Networks. All Rights Reserved.